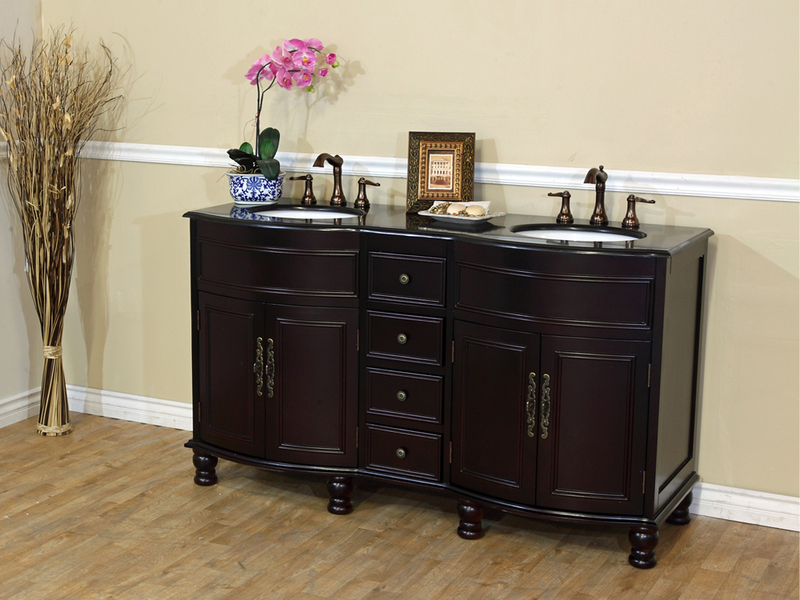 The Somerset Traditional Vanity features a great traditional design with its bead molding, antique brass hardware and dark mahogany finish. 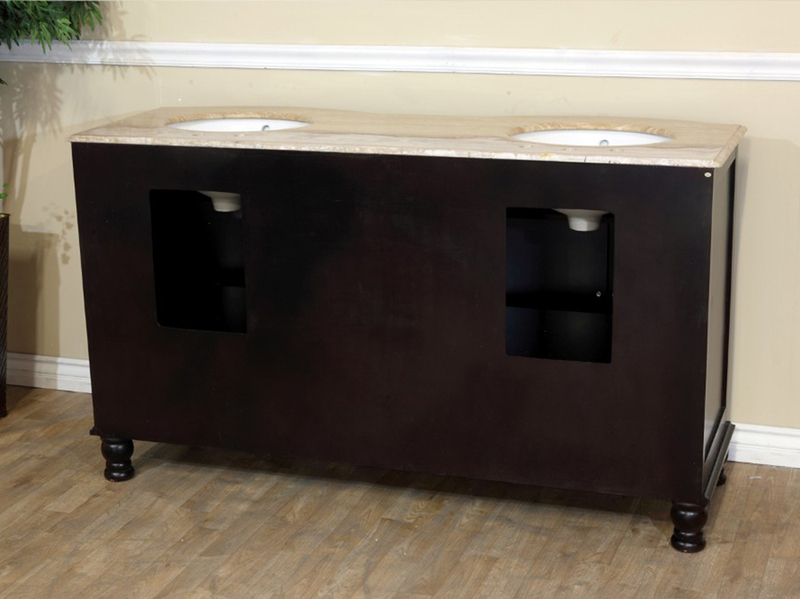 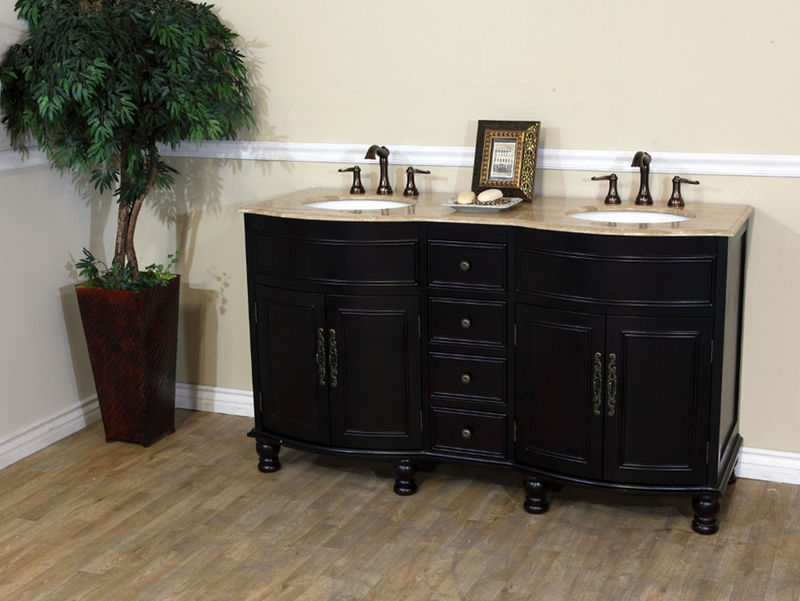 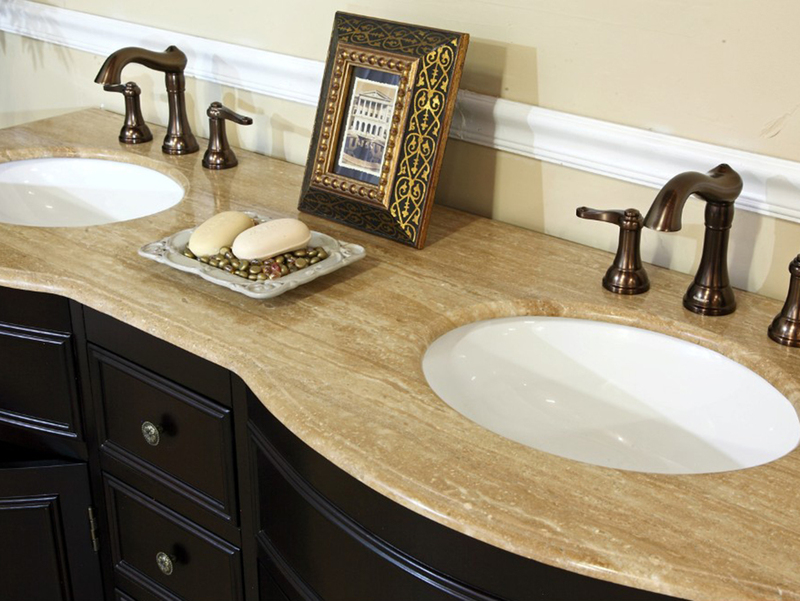 The vanity is available with either a Black Galaxy or Travertine counter top. 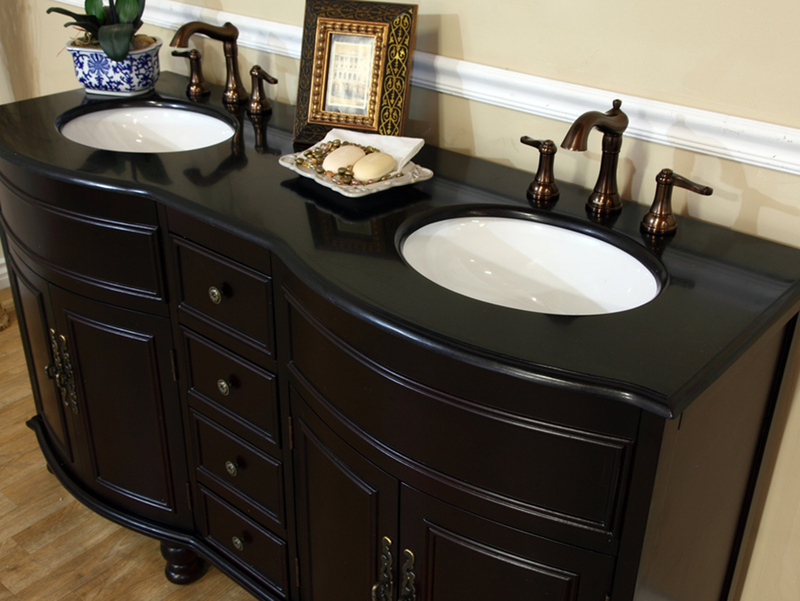 The Black Galaxy counter top matches the tone of the dark mahogany finish, while the Travertine counter top accentuates it. 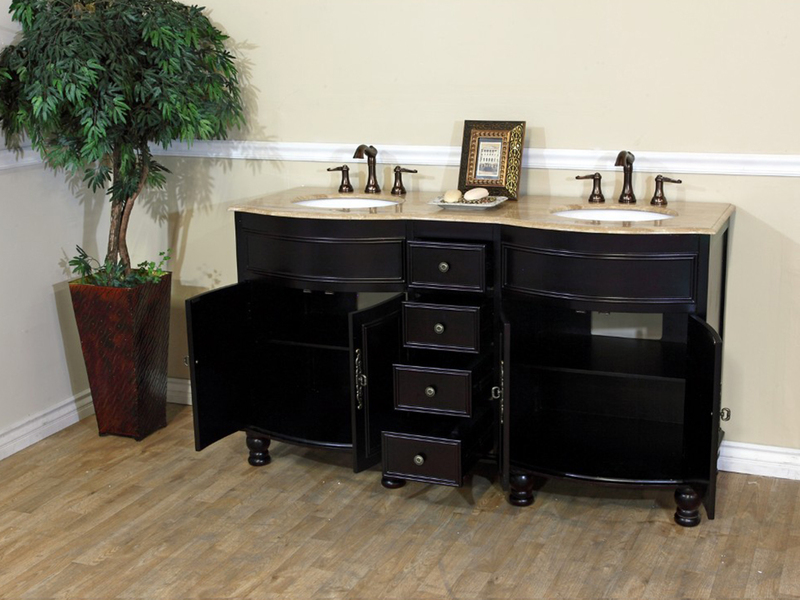 The vanity provides a lot of storage space in the form of two cabinets and four full extension drawers. 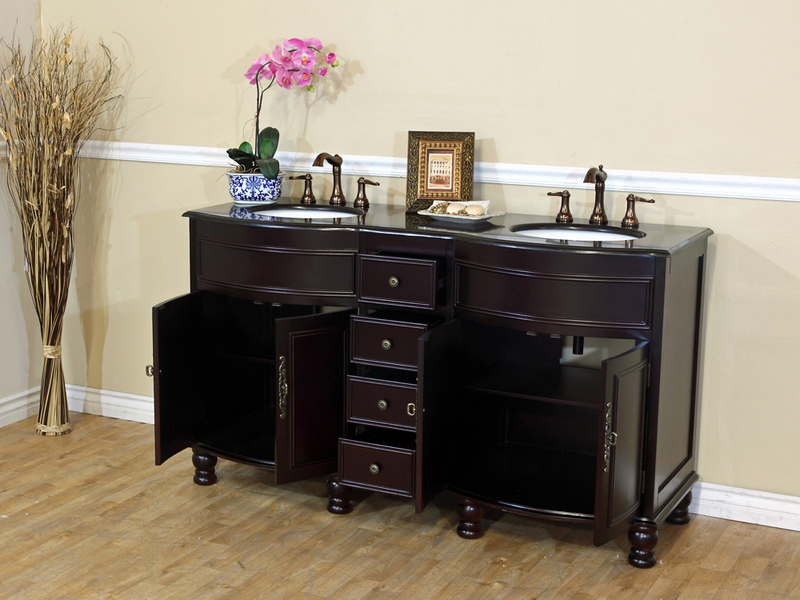 With so much storage, this vanity is as practical as it is beautiful. 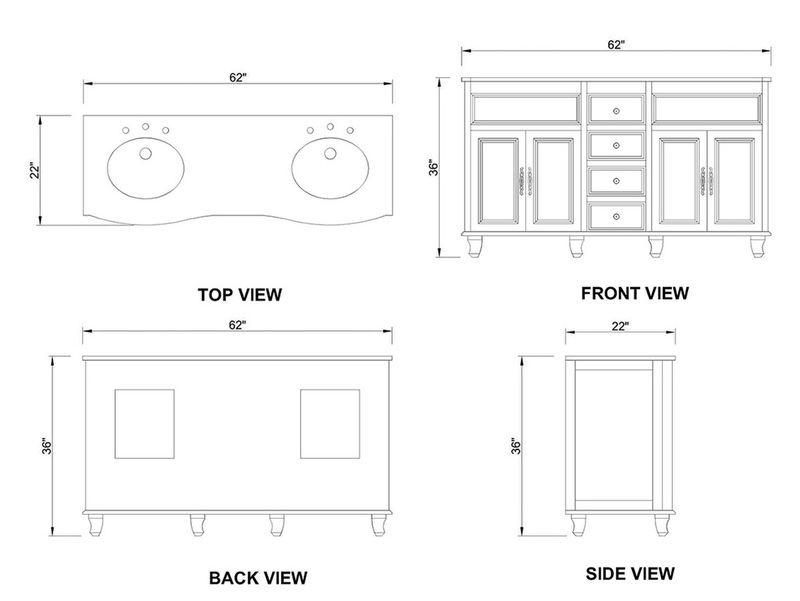 Optionally, a matching backsplash is available for both counter top options through the drop down menu.